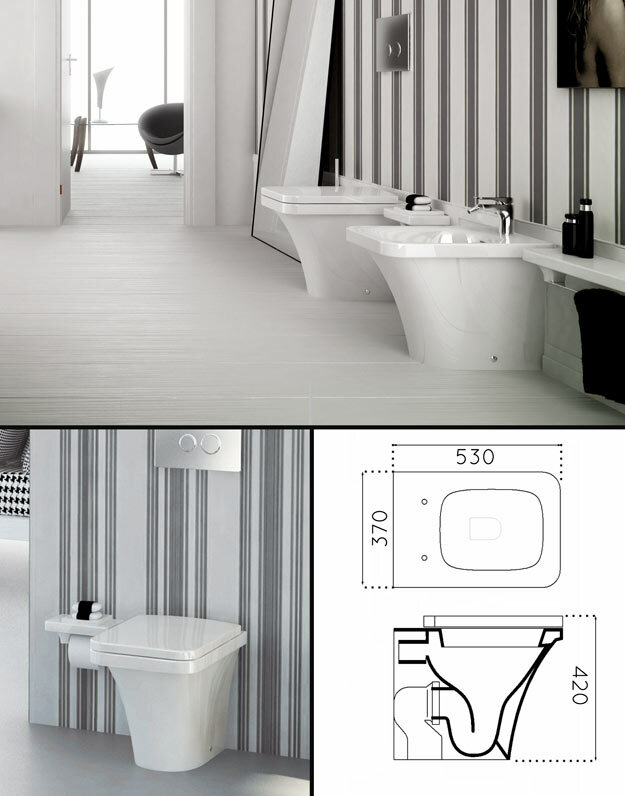 Italian designer toilet that is styled for back to wall installation. This contemporary toilet is supplied with a soft closing toilet seat which is tough and very reliable. To compliment, we can also supply a matching back to wall bidet as well.